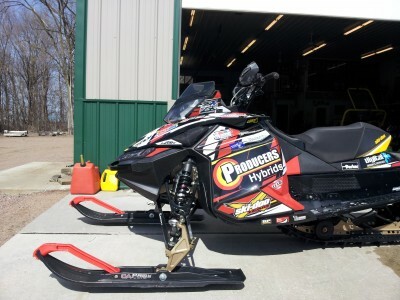 ~220 Miles; Team Bauerly Racing snowmobile with C&A Pro Ski's, Stud Boy Studs with Plastic Backers. Motor and shocks were rebuilt in February. 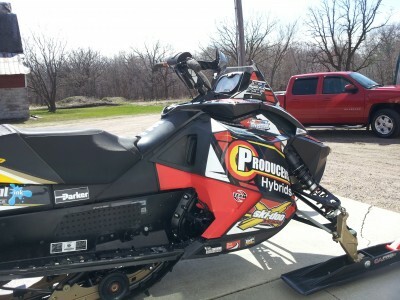 Professionally maintained machine. Able to set up for trails. Decals removed, stock decals available.